Agartala, April 16: The Election Commission of India (ECI) on Tuesday deferred the polling in Tripura East Lok Sabha constituency from April 18 to April 23 due to security reasons. The move from the election body comes just two days before the state was going into the poll in the second phase of 2019 Lok Sabha Elections. Vellore Lok Sabha Elections Cancelled After Cash Seizures From DMK Candidate's Office. 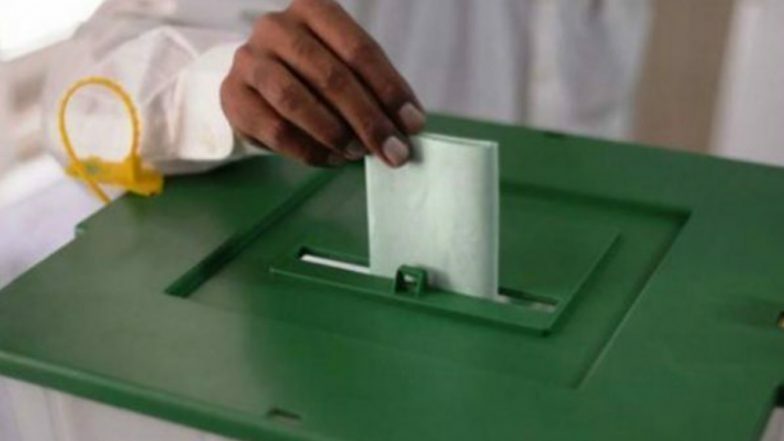 Polling will now take place in the third phase on April 23. There are two Lok Sabha constituencies in Tripura out of which polling in Tripura West seat held on April 11, the first phase of elections. While the polling in Tripura East Lok Sabha seat will now take place on April 18. Earlier today, the ECI cancelled polls in Vellore Lok Sabha constituency. The Election Commission had sent a proposal to President Ramnath Kovind a day earlier, after a massive cash haul was recovered from premises linked to Dravida Munnetra Kazhagam (DMK) candidate Kathir Anand. The proposal was accepted by the President, leading to the postponement of elections in the constituency.